There were 3,277 violations of various rights in 18 Arab countries in 2014 with about a third considered flagrant and whose perpetrators committed them with impunity, a substantive study revealed. It was a slight improvement over 2013 when violations hit 3,595, but still higher than 2012 when they were recorded at 2,148. But the particular incidents that increased numerically in 2014 were torture, murder, injury, deliberate targeting, kidnapping and detention, security and investigative summons by authorities, targeting and confiscation of media tools and equipment and, barring of information. 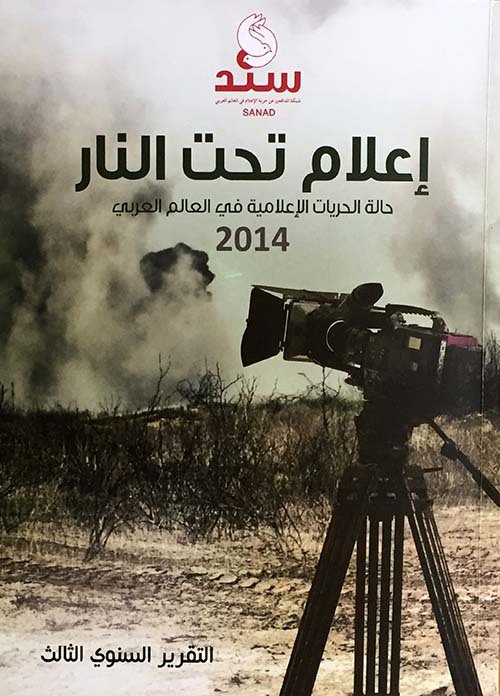 "Media Under Fire: The State of Media Freedoms in the Arab World 2014," is the third annual report produced by the Network of Defenders of Media Freedom in the Arab World (SANAD in Arabic) to monitor and document violations across the Middle East/North Africa region. 'Ain (Eye), SANAD's monitoring unit, also documented the killing of 52 media workers (journalists and others), the abduction of 82, the attempted assassination of 32 and the arrest of 205. "We launched this network at the start of the 'Arab Spring' in 2011, and it's the fruit of the gathering of the Arab Defenders of Media Freedom," said Nidal Mansour, president of the Amman-based Center for Defending Freedom of Journalists (CDFJ). "'Media Under Fire' means media are still the primary victims of the 'Arab Spring' and the 'Arab Fall'." Barring coverage accompanied by physical assault and seizure of personal liberty were the most prevalent violations registered in the 600-page thoroughly researched study on what's afflicting media in most Arab countries. 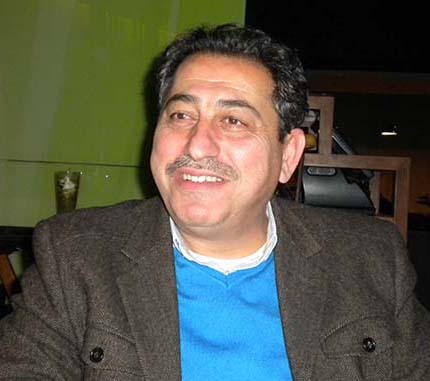 According to Mansour, the media are the victims of all the political, military, sectarian or financial conflicts and tugs-of-war in the Arab region. "Look at the scene in Egypt, it's a case of internal warfare. Look at the situation in Lebanon, it's an internal conflict," noted Mansour on how politicians and warring factions manipulate the media to their own ends and how the media, in turn, oblige. Journalists are also pitted against each other in these battles, he added. The violations in question include those against the right to life, to physical safety, to liberty, to personal security, to freedom of opinion/expression/membership in organizations, to ownership, to access to information and, to non-discrimination. Ironically, the report noted, Arab countries' constitutions are awash with clichés on media freedom and the independence of their respective judiciaries, but when push comes to shove, all these constitutional principles fly out the window to be replaced by unabashed suppression. The study also found that security apparatuses in the Arab World were the main culprits behind the violations of media's rights. But terrorist organizations using religion as their raison d'etre and shrewdly utilizing media to publicize their causes worldwide were equally guilty of dealing savagely with journalists who tried to cover their activities, it said. "This is a reflection of a crisis we have that goes beyond the matter of a boot stepping on a journalist," Mansour told me. "We have a crisis of independence, a crisis of professionalism, a crisis of ethics. This is the general picture of the media situation in the Arab World." Of the myriad problems meticulously chronicled in the book, is the economic undermining of the newspaper industry by confiscating dailies after they're published and barring their distribution in a bid to break journalists' will and threaten them financially in an already shaky print environment. This often leads to self-censorship as an act of self-preservation, the study found. A case in point is Jordan, Mansour's home turf, where the media are said to have reached a dead end. His CDFJ founded SANAD and acts as its permanent secretariat. SANAD created a 22-page indicator form on media freedom in the Arab World akin to international gauges and tested it in Jordan, Egypt, Tunisia, Yemen, Palestine and Iraq. Researchers met with focus groups to answer each question in the indicator. SANAD's aim was to fashion an Arab World approach as international reports are frequently attacked and criticized for not understanding the region's realities so the organization tried to produce something that was home grown, Mansour explained. "We found that Tunisia was the best country (in terms of media freedom) and the worst was Syria, which isn't too far from international reports," he said. Jordan came in fifth. Researchers surveyed Jordan, the United Arab Emirates, Bahrain, Tunisia, Algeria, Saudi Arabia, Sudan, Syria, Somalia, Iraq, Palestine, Mauritania, Kuwait, Lebanon, Libya, Morocco, Yemen and Egypt. But they were unable to obtain accurate information on violations in the remaining Arab countries of Djibouti, the Comoros Islands, the Sultanate of Oman and Qatar.